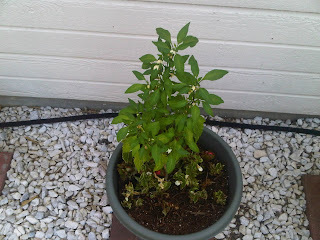 Last for the month in the series of relatively easy plants to grow in Texas is this lovely guy, the Jalapeno. I have grown these from seeds, and they are pretty easy to do, but generally I don't need more than one plant, and a six inch tall Bonnie plant is about the same price as a pack of seeds. 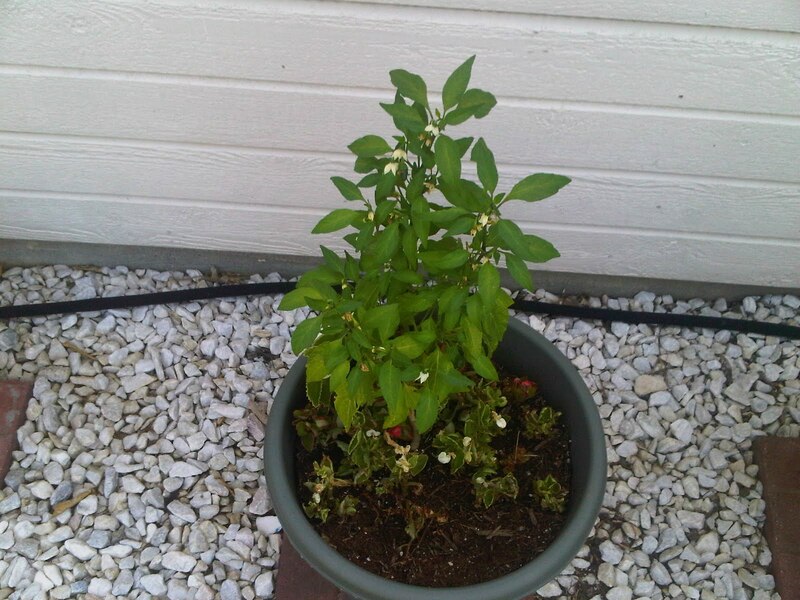 The jalapeno can easily be grown in containers (as shown here), it produces a ton of peppers if it grows tall enough, and can survive dry heat (even if the begonias I had planted around it at the base did not all survive. Jalapenos will flower small white flowers with triangular or almost diamond shaped petals, and then will fruit. The fruit turns red when it ripens, but you can pick them whenever they are large enough and green all the way until they turn red. If you do decide to grow from seed, you can always remove the seeds from one of the jalapenos you harvest and dry them out in a small bag to save for the following year. Often, we end up removing the seeds anyway to cut down on the heat from the pepper (remove the seeds and membranes and the pepper tames down quite a bit). If you do start from seed, it's a good idea to start indoors (and I might try next year starting some inside with a sub-irrigation pot made from 2-liter soda bottles. What you can DO with 15 or 20 jalapenos is up to you. As for me, I always save 2 to make my annual batch of Jalapeno Pale Ale.